Caravan has a history of working with Paint Shop facilities. We understand that the quality of a paint process is directly related to the cleanliness of the total shop. 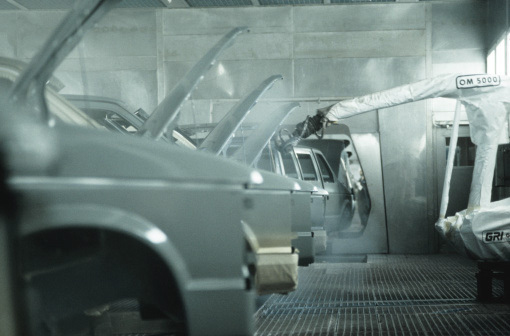 Our Total Paint Shop maintenance program is designed for maintaining and cleaning the entire Paint Shop. Our goal is to focus on the Total Cleanliness of the Paint Shop which includes maintenance of all systems, regular and periodic cleaning and deep cleaning activities. Our paint programs allow us to maintain a production ready Paint Shop with the highest cleaning standards. This mitigates our customer's paint defects, allowing them to focus on producing quality vehicles.